Suicide Squad Character 프로필 - Harley Quinn. 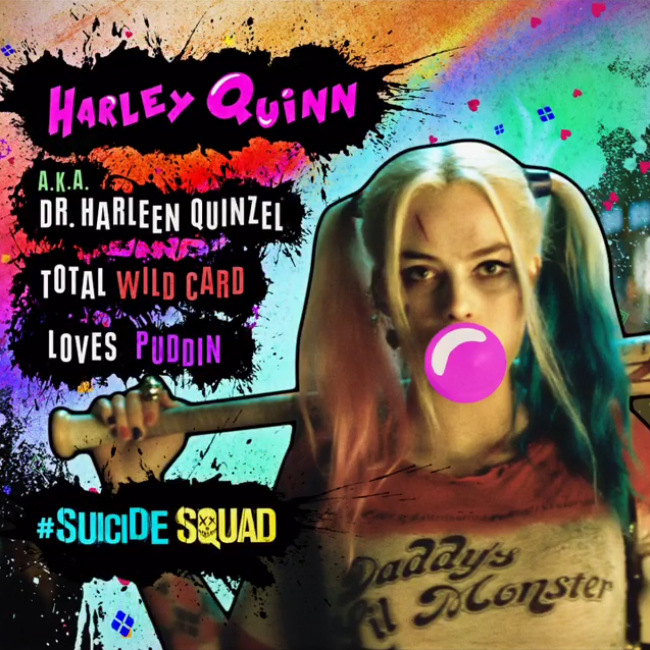 캡, 모자 from a series of Instagram 비디오 announcing advance tickets.. Wallpaper and background images in the Suicide Squad club tagged: photo suicide squad movie 2016 character profile facts margot robbie harley quinn dr. harleen quinzel. This Suicide Squad photo might contain 애니메이션, 만화, and 만화책.